A return trip to hunt quail at Moree’s Sportsman Preserve in Chesterfield County on October 2 was nearly canceled due to storm damage from Hurricane Florence. Just two weeks earlier this area known as Society Hill received 24-inches of flooding rain, washing out some access roads. The longtime manager at Moree’s is Mike Johnson, and he worked overtime to prep their property and facilities for our hunt. Guide Billy Benson and I discussed bird dog lineage during the entire morning hunt, since I own one of the English Setters he raised eleven years ago at Moree’s. The SEOPA conference in Florence featured bobwhite quail as a discussion topic with SCDNR’s small game biologist Michael Hook and Don McKenzie of the National Bobwhite Conservation Initiative (NBCI). Quail population numbers have been in decline in every state of its range for decades, but out of the failure to fully grasp this landscape scale problem, a new resolve is forming to save our bird hunting culture. 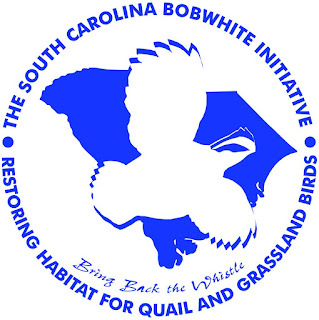 Songbirds have also been identified in decline, and it turns out that they require the same early successional habitat as bobwhite quail. A new management strategy that regards both the gamebirds and the songbirds as a treasured resource is uniting partners in conservation like never before. To read the entire feature article in the newspaper click on Colletonian.